Seeds are quickly outpacing their nut relatives to become one of the worlds’ most popular superfoods. Research shows that some powerhouse seeds, including chia seeds, flax seeds, and hemp seeds, may help fight heart disease, diabetes, cancer and more. If you’re looking for a high-quality snack or a way to add some easy nutrition into your diet, try sprinkling seeds onto your next salad or enjoying them in your post-workout smoothie. Here are three of our top powerhouse seed favourites and why you should include them in your kitchen arsenal. Chia is an edible seed that comes from the flowering plant in the mint family, Salvia hispanica, and is native to central and southern Mexico and Guatemala. A known energy booster, Chia is grown commercially for its seed. It’s rich in healthy Omega 3 fatty acids, carbohydrates, protein, fibre, antioxidants and calcium. Chia seeds are an unprocessed, whole-grain food that can be absorbed by the body as seeds (unlike flaxseed). 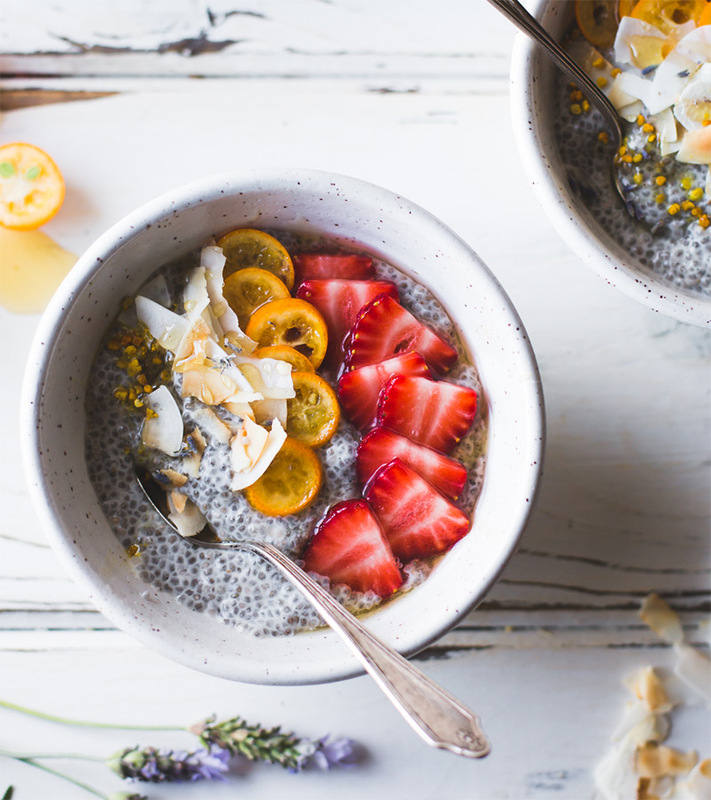 With their high fibre content, chia seeds can absorb up to 10 times their weight in water, becoming gel-like and expanding in your stomach, leading to increased fullness —this slows absorption of your food and makes you feel full longer. Fibre also feeds bacteria in the intestine, which is key for overall health. Chia seeds are 40 percent fibre by weight, making them one of the best sources of fibre in the world. A one-ounce (28 grams) serving of chia seeds contains 139 calories, 11 grams of fibre, four grams of protein and 9 grams of fat, as well as calcium, manganese, magnesium, phosphorus, zinc, potassium and B vitamins. The mild, nutty flavor of chia seeds makes them easy to add to foods and beverages. Grind chia seeds with a grinder or food processor. Sprinkle them on salads, cereals, oatmeal, smoothies, sauces, vegetables, rice dishes, yogurt or breads, or mix them into baked goods. They can also be mixed with water and made into a delicious, vegan chia seed pudding. Store chia seeds in a glass or plastic storage container with an airtight lid. The antioxidants in the chia seeds allow them to be stored for months in a dark, cool place. Flaxseed, also called linseed, is a rich source of micronutrients, dietary fibre, manganese, vitamin B1 and Omega 3 fatty acids. The seeds come from flax and are grown in cooler parts of the world. Flaxseed comes in two basic varieties, brown and yellow, all of which have similar nutritional benefits. 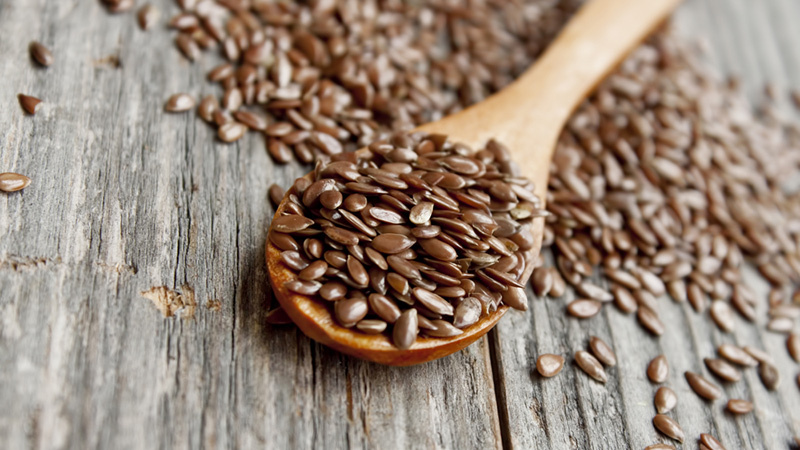 Flaxseed oil comes from the seeds of the flax plant and contains Omega 3 and Omega 6 fatty acids. Flaxseed is a source of healthy fat, antioxidants and fibre. Studies have suggested that flaxseed can also help lower the risk of diabetes, stroke, cancer, post-menopausal symptoms and heart disease. Flaxseed contains high levels of dietary fibre, as well as lignans, an abundance of micronutrients and Omega 3 fatty acids. Lignans are fibr-like compounds, but they also provide antioxidant protection due to their structure as polyphenols. Just two tablespoons of ground flaxseed contain more than 140 per cent daily value of the inflammation-reducing Omega 3 fatty acids and more lignans than any other plant food. One tablespoon of flaxseed contains 55 calories, three grams of carbohydrates, 2.8 grams of fibre, 1.9 grams of protein and 4.3 grams of fat. Sprinkle flaxseed on salads, oatmeal, cereals and vegetables or in pancakes, breads, muffins, cookie mixes or in smoothies. You can also use flaxseed oil for cooking — just reduce butter or other oils by half, and use flaxseed oil for the remaining half. Flaxseed can be purchased whole or ground. Store whole flaxseed (which keeps longer) in an airtight container in a cool, dark, dry spot, or place in the refrigerator. Ground flaxseed is usually available refrigerated and non-refrigerated, but store it in the freezer to keep from getting oxidized. Flaxseed oil is perishable and should be purchased in opaque bottles and kept refrigerated. Hemp is an excellent addition for anyone following a plant-based protein diet (especially for vegetarians and vegans). Rich in protein, Omega 3s and minerals, hemp has been called the world’s most nutritious seed. The hemp seed is the richest known source of polyunsaturated fats, containing a perfect three to one ratio of Omega-6 linoleic acid and Omega-3 linoleic acid. The seeds are removed from their hard shells, yielding a 100 per cent raw culinary product that tastes like pine nuts. Cultivated for years throughout Asia and the Middle East, this extremely versatile ingredient is now on the “hot” list. Rich in protein, Omega-fatty acids and fibre, hemp has a nutty-tasting seed and is loaded with all 20 amino acids. 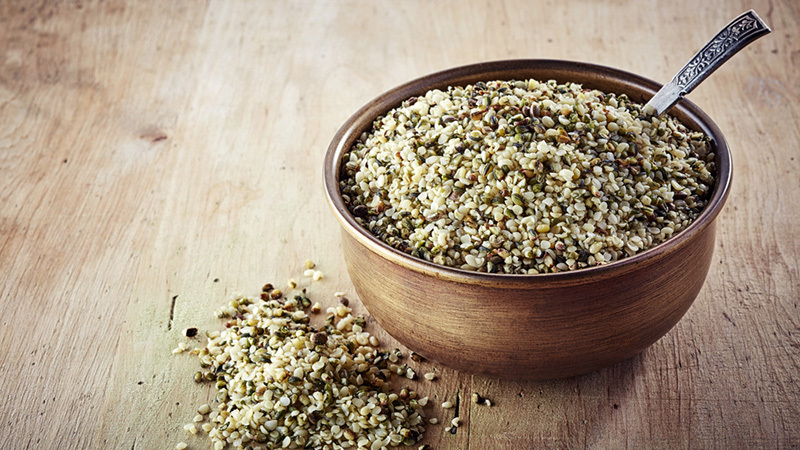 The protein found in hemp seed is also very digestible, making it ideal for those with diet sensitivities. One tablespoon of hemp seeds contains 56 calories, three grams of protein, four grams of fat and one gram of fiber. Hemp seeds are also high in magnesium, a mineral that helps with relaxation, blood sugar control and blood pressure. Because they have high Omega 3 fatty acids, hemp can also reduce inflammation and heart disease and aid in improved memory functions. You can find hemp seeds, hemp flour and hemp milk. Hemp seeds are fabulous in granola, cereals, desserts and smoothies. Hemp seeds can also be used in baking, but the nutritional content is highest in its raw state. Because of their high oil content, hemp seeds should be stored in an airtight container in the refrigerator or freezer to keep fresh.